She took some well-deserved time off at the beginning of 2015, but now, Lorde's back in action: In a post published to her official Tumblr on Thursday, Lorde revealed that she's begun working on a new album, the follow-up to her critically acclaimed (and Grammy Award–nominated) 2013 debut Pure Heroine. The New Zealand–born artist may have also revealed one of the upcoming project's major sources of inspiration: pop singer Robyn. More specifically: Robyn's powerful "tears on the dance floor" anthem, "Dancing On My Own." Great googly moogly! This is wonderful news. we put it on right there in the studio, and i was up out of my seat dancing with my eyes screwed shut, and my hands up around my ears, and we looked into each other’s eyes and sang the words, and i could feel something hot and teary in the back of my throat just from FEELING so much at once. and i think it was then when i realized i’m going to be in love with music for the rest of my life. it’s going to be the most important friendship i’ll ever have. i’ll never, ever leave it alone, because you can’t leave alone something like that, something that makes you weep alone on aeroplanes or jolts you out of a chair and shatters your face with a big toothy smile. i think that’s a cool, intense revelation to have, going into your second record. Check out Lorde's entire post here. Well, damn. Before this morning, I wasn't exactly anxiously awaiting the arrival of Lorde's sophomore LP, but if it ends up being influenced by Robyn, you better believe I'm going to check it out! I think there are probably a lot of music lovers who can relate to the "Team" hit-maker's recent "Dancing On My Own" experience — but I'd be surprised if any of them could articulate their thoughts and feelings quite as beautifully. I know I couldn't. 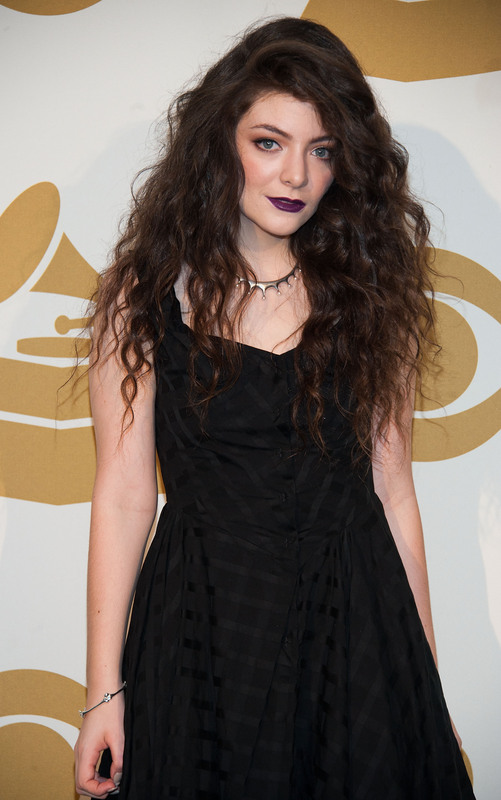 Oh yeah, quick reminder: Lorde's only 18 years old. Sheesh. She's making us all look bad and stuff. Hopefully, we'll receive more details about the wunderkind's new album soon.